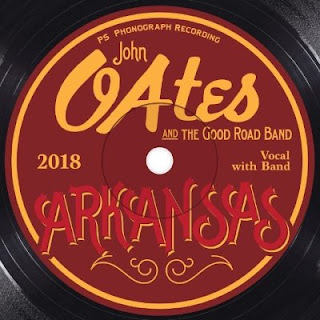 Rock and Roll Hall of Fame member John Oates, along with his group The Good Road Band, have announced the first dates of their 2018 tour in support of his album Arkansas set for release on February 2. The project originally began as a tribute to Oates’ idol, Mississippi John Hurt. During a series of Nashville recording sessions, it evolved organically to become a unique collection drawing from a wide range of Oates’ musical influences. Asked about the style and sound of Arkansas, John says, “It’s like Dixieland, dipped in bluegrass, and salted with Delta blues.” His first project for Thirty Tigers, Arkansas is available for advance order through e-retailers and a Pledge Music campaign including autographed vinyl, limited edition exclusives, hats, shirts, and more. Recorded at Addiction Studios in Nashville, the album was produced by Oates and David Kalmusky. Oates teamed with an amazing group of accomplished and rising stars in the Americana music world, "The Good Road Band". The impressive lineup on the record consists of Sam Bush on mandolin, Russ Pahl on pedal steel, Guthrie Trapp on electric guitar, Steve Mackey on bass, Nathaniel Smith on cello, and Josh Day on drums and percussion. With this incredible band, Oates shines a light on music from America’s past long before the birth of rock ‘n’ roll. John Oates is one half of the best-selling duo of all time, Hall & Oates, as well as an accomplished solo artist. A member of the Rock and Roll Hall of Fame and the Songwriters Hall of Fame, Oates has recorded six solo albums and the 2015 DVD docu-concert Another Good Road. His seventh project, Arkansas, will be released by Thirty Tigers in February. Influenced by R&B and folk music while growing up near Philadelphia, Oates was honored as a BMI Icon in 2008. In 2016, Hall & Oates received a star on the Hollywood of Fame. In addition to his solo shows, Oates continues to tour with Daryl Hall, playing sold-out concerts around the world. St. Martin’s Press released the hardcover of Oates’ memoir, Change of Seasons, in March 2017; the paperback will be released in 2018. Oates resides in Nashville.